Dean Kuipers presents a portrait of notorious activist Rod Coronado, whose story takes us behind the scenes of the Animal Liberation Front and the Earth Liberation Front, environmental groups that are among the FBI's biggest domestic terrorism priorities, even in the wake of 9/11. 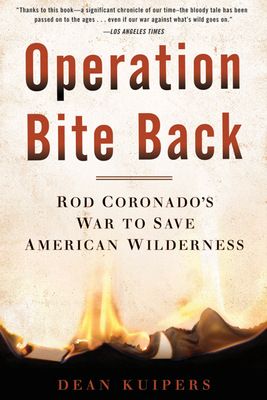 Coronado embarked on a renegade arson campaign risking everything for his cause and found himself caught up in terrorism prosecutions now sweeping the movement. Dean Kuipers is the managing editor of the Los Angles Times entertainment site. He was deputy editor of Los Angeles City Beat and the author of Burning Rainbow Farm, I Am a Bullet, and Ray Gun Out of Control. He lives in Los Angeles.